The following stipulations explain Daniel A. Poling Memorial Babies' Home's policy the service we provide. The official procedure is also clarified. from new-born babies to 25-year-old adults, authorized by central or local government. central or local government's Departments of Social Affairs. Clients suffer from officially approved contagious diseases. Clients undergo tracheotomy and require long term medical care. Clients have abnormal behaviors or difficulties fitting in group activities. Clients' parents or guardians should bring along their family registration books and the approved physically or mentally disabled certificates and apply to the social worker office at our organization. An interview will be arranged and the clients' condition will be evaluated. After the evaluation is done and the application is approved, clients should apply for subsidies from where their family registration takes place. Once city or county government Departments of Social Affairs authorize the application, we will inform the clients to check in. However, one-month probation is applied after his checking in. Once the health check is run and the application is approved, we will inform clients' parents, city or county government's Department of Social Affairs and the town hall office. A contract needs to be signed by clients' parents or guardians when clients check in. A guarantor is also required. If any changes happen in the guarantor part, we should be informed and a new contract has to be drafted. When checking into, please make sure you have the following items: application form, contract, parents' expectation list, the copy of clients' approved physical or mentally disabled certificate, family registration book, clients' interest survey, health check paper, two photos, health insurance card, major disease or injury certificate, deposit (two months fee) and the fee of the month. Fee is charged according to Executive Yuan's policy. If any of the following situations arise, we have to discharge clients. If parents or guardians fail to check out clients, we will notify responsible agencies to have them discharged. We can't get in contact with clients' parents or legal guardians as a result of their failure of informing us their whereabouts. Clients have abnormal behaviors and hence have difficulties fitting in the group life or have the possibilities of harming other clients. Clients fail to pay fee on time or insufficient deposit after being notified repeatedly. Clients' behaviors are evaluated as disturbing. Deceased clients' funeral arrangement will be made respectably according to our regulations. What kind of clients do we accept: Severe and extremely severe disabled individuals from new-born to 25-year-old adults. Related institutions, city or county governments' Department of Social Affairs and parents of disabled children contact our social worker office. The office evaluates individual case to see if we can provide suitable service. If not, we will refer them to places where are able to meet their needs. An interview will be conducted with parents and clients while programs and fee will be discussed. Once we approve the application, clients can check in and receive normal care and programs. However, one-month probation will be applied. At the end of the probation, we will evaluate and decide if they can stay. After the application is officially approves, the following documents are required: parents' contact details, check-in contract, application form, parents' expectation survey, clients' interests survey and other necessary information. If unexpected major unfortunate predicaments happen to clients' parents or clients have difficulties adapting in the new environment, social workers will communicate either by phone or a personal visit accordingly. An individual meeting might be held under a special circumstance. In this case, top officials from our departments, parents, clients and staff who are responsible for taking care of clients will be called on to attend the meeting. Clients' personal information and learning evaluation reports, which include pre-school academic performance, moderate/severe disability's level, outline of the courses and early-stage learning instruction manuals. It depends on individual client, various evaluation methods might be applied. Clients continue the service either in their original units or transferred to another one. Clients either stop the service (please refer to our policy on checking out) or accept being transferred to another organization. In the latter case, we will continue the follow-up of clients' progress. At the end of clients' one-month-probation, if an evaluation based on the clients' performance turns out to be against his or her staying, then, a discharge proposal will be presented. Staff in charge of their teaching and activity programs will sign the proposal and state their opinions of the clients. Related documents will also be attached. In addition, social worker and medical health departments will also provide their professional opinions as well as information of social resources. After the head master signs the proposal. 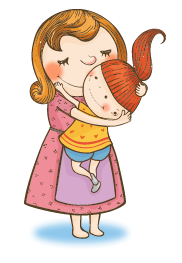 We will refer clients' parents to other city or county governments' institutions. Parents will be notified to have clients discharged. If clients' parents fail to have it done on time, responsible city or county government' s department s of Social Affairs will be informed. They will then deliver clients to their parents or legal guardians. Social Worker Department will prepare necessary documents. Child-care Program Department will pack up clients' belongings. Executive Department will prepare the refund and deposit. Medical and Health Department will prepare clients' medical reports, health insurance cards and major disease/injury certificate card. Clients are discharged after all the steps are completed. We takes care of abandoned babies who are under three years old. An abandoned baby is found and brought to the police station. Afterward, an official report of the baby will be made and filed. The police station will try to find the baby's parents. Meanwhile, the baby's hand and foot prints will be photographed and saved in the file. Afterward, the city or county Department of Social Affairs workers will bring the baby to a public hospital for a health check-up. The city or county Department of Social Affairs phone us and request adopting procedure. If everything goes well, a date will be arranged and then the abandoned baby will officially check in. The first situation: the police station couldn't find the baby's family within six months. The baby will register in our organization. From here, the baby can stay and then transferred to Taichung Christian Herald children's Home upon turning three years old. Or, either a foster family or a government children institution will take over the care of the baby. The second situation: parents or legal guardians are found and the baby reunites with the family. The third situation: parents or legal guardians are found, however, they are proved to be incapable of taking care of the baby. As a result, the city or county government will find a suitable place for the baby to be adopted. After six months of probation, if everything goes as it's expected, the court will issue an official adopting paper. Follow the city and county governments regulations. Extremely severe, severe disable clients:the sum of minimum living expenses times 2.5. Severe, moderate disable clients: the sum of minimum living expense times 2. 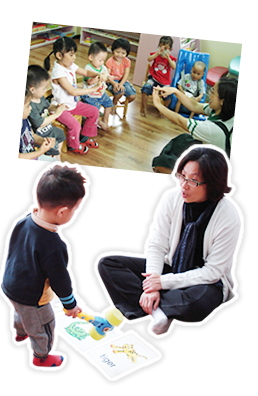 Day-Care service: depending on clients' situation, 60% of either 1 or 2's fee. The others: minimum living expenses. Low-income families receive full subsidies from the government; no extra charge will be applied. The government will subsidize 3/4 of the fee for those whose total income from the family is lower than the amount of monthly minimum wage times 2. The family pays for the difference. The government will subsidize 1/2 of the fee for those whose total income from the family reaches the sum of monthly minimum wage times 2, but falls below the sum of monthly minimum wage times 3. The family pays for the other half. For families whose total income is higher than three times of the monthly minimum wage but lower than four times of the monthly minimum wage, the government will subsidize 1/4 of the fee; the families pay for the difference. For families whose total income exceeds the sum of four times of the monthly minimum wage, they won't be granted any subsidies from the government. 1. Parents pay monthly for their share of the fee. Only half of the monthly fee will be charged if clients check in after the 16th of the month. 2.Parents need to pay two months' deposit when clients check in our organization. Individuals or groups who are interested in visiting our organization can contact us by phone or mail. Please state the name, contact details, the date, the time, and the number of the people in your group so we can make arrangement. Social Worker Department will propose to the headmaster for approval then reply. Various departments and child-care center will be notified as well. Social Worker Department will be responsible for the presentation and visiting arrangement. Social Worker Department and Child Care Department will be responsible for explaining the facilities and programs run in our organization. Executive Department will be responsible for picking up, preparing drinks and setting up the place for the presentation.